The stove instalation and a weekend recap. 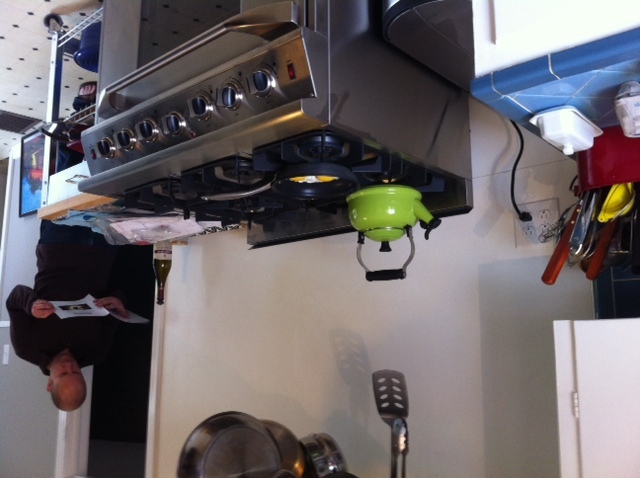 Posted on February 20, 2012 | Comments Off on The stove instalation and a weekend recap. 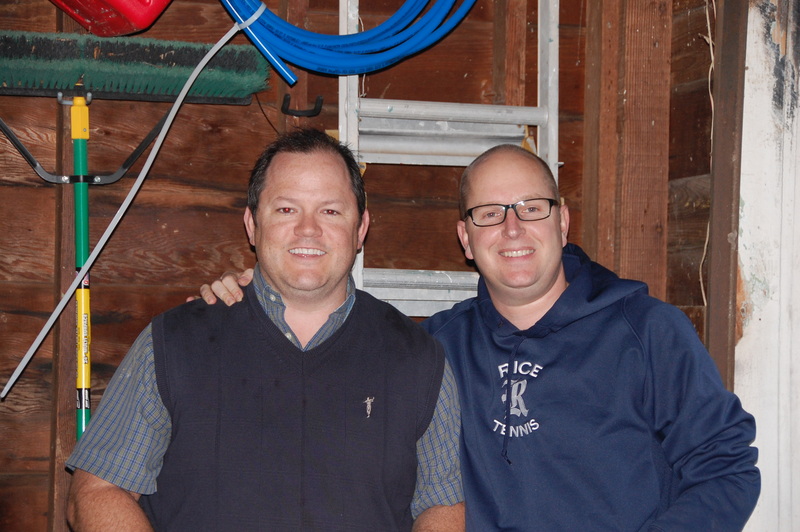 Well, the new stove was delivered on Friday, and these two fine fellows worked very hard to install it. We had one small glitch hooking up the gas, but by Saturday morning, we were cooking eggs. And I am in heaven. Sorry for the bad picture...this was an iPhone picture for purposes of texting my mother and sister with the inaugural egg making. The stove really is great. It is 5.3 cubic feet of oven–with convection. I tried it for cookie baking and was very pleased. The burners boil water in no time. And it is simple. I am in love. With the stove and my husband who bought it for me. If you are needing to purchase a stove, mine is the NXR 6-burner, 36 inch, bought from AusTex Appliance. Tell Bill that Scott sent you. Scott also got me another surprise. He really out did himself. I will report on that surprise later in the week. The rest of the weekend was spent celebrating dear friends at a post-wedding shower, completing yard work, installing curtains (stay tuned), and cheering for the thousands of runners that passed our house Sunday morning in the Livestrong Austin Marathon. 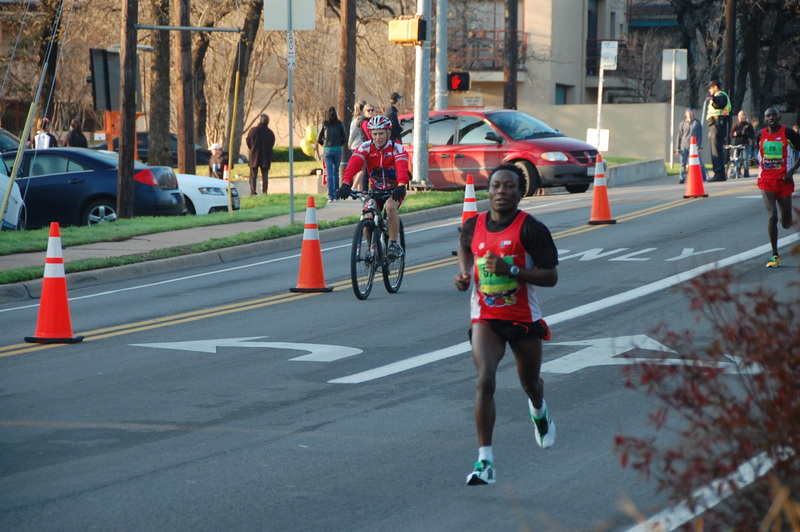 Check out the rock star leader at mile 11.5. He was turning into the hills, which is a little sad when you have close to 15 miles ahead of you and you are running away from the finish line. This entry was posted in Home, Things I like. Bookmark the permalink.